We take the welfare of our members very seriously. 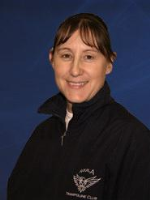 All our coaches are fully qualified through British Gymnastics, and support by our club Welfare Officer Cheryl. All our coaches are regularly CRB checked. You can contact Cheryl either via the ‘Contact Us’ pages, or you can email directly: welfare@aquila-tc.co.uk.